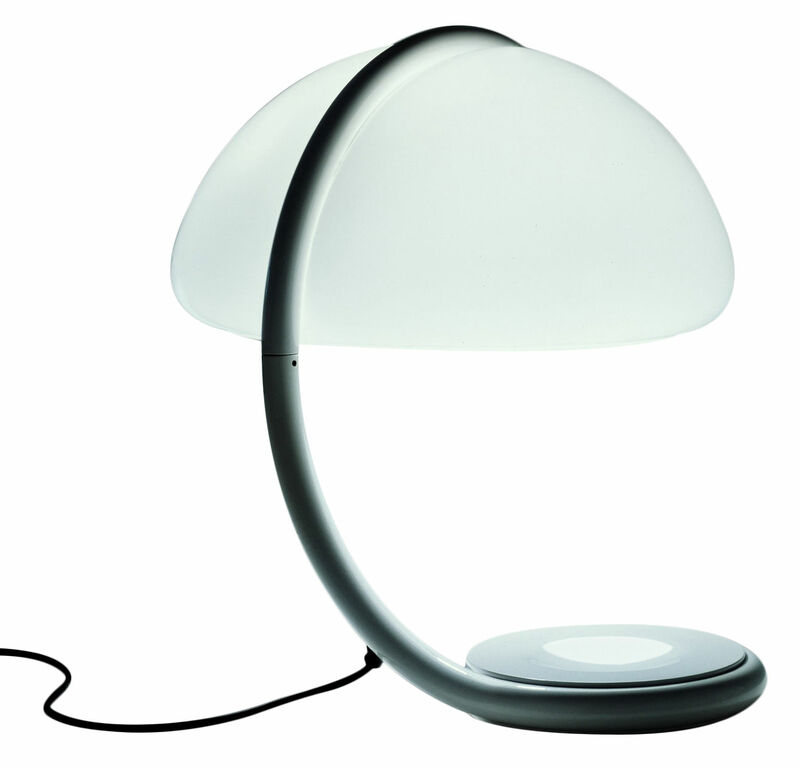 Cult object of design, the Serpente lamp was created by Elio Martinelli in 1968. 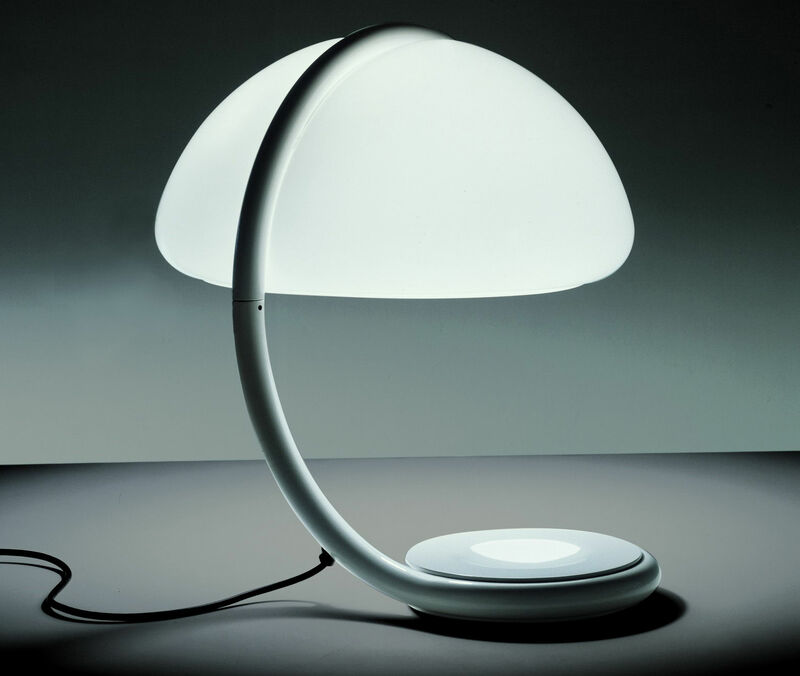 This table lamp or office lamp with broadcasts light is orientable thanks to his articulated arm. The broadcaster is in white methacrylate opal and the structure in white varnished metal. Mythical, Serpente is exposed in the biggest museums of the entire world.